When you're shopping for a new vehicle we believe you need a comfortable ambiance, dynamic selection of vehicles, competitive options for financing and high-quality service to feel stress-free confidence throughout the car-buying process. At our dealership you will find just that: a great selection of Honda models and a team that will make the process as smooth as possible. There are plenty of vehicles here in our new Honda Civic, Accord, HR-V, CR-V or Odyssey lineup that will grab your attention. When you're drawn in, you can see all the details, features, technology and innovation onboard, and get a full hands-on experience with a test drive. Here at Roy Schmidt Honda, we give you all the details to make sure you know every bit about the vehicles you're interested in. We let you take your time to discover each one, and when you find that right fit, you'll know, and we can get the wheels in motion to have you taking it home in no time. Great dealer. Drove in with a problem while on a trip and received fast and friendly service in a spotless facility. Would recommend your dealership to anyone. Thank you. Thank you to Dane for your kindness and patience in finding the right car for us. We kept him waiting as I prayed for the car that would be best. He kept in touch to let us know he would be happy to help. He was very sincere and we knew to trust him. Thank You, Dane. Also would like to thank Ben for his kindness . Thanks to everyone at Roy Schmidt Honda!! Also , thank you to Spencer for a paint touchup, looks great! I recently purchased my first vehicle at Roy Schmidt Honda and I couldn’t be happier with my experience! Jake Hotze was the salesman I worked with and he went above and beyond to find me a vehicle that best fit my needs and more! Jake along with the rest of the Roy Schmidt Honda staff was very knowledgeable, informative, and upfront about their vehicles and what they had to offer. After finding the vehicle I wanted, Ben Rohlfing helped me with my financing options and thoroughly walked me through every step of the way making everything very clear. What I expected to be an overwhelming experience turned out to be very straightforward and easy. Thank you for being so welcoming and patient and making me a first time vehicle owner. I look forward to doing more business with you guys! We bought a new Honda Accord here 3-12-18. Got a good price from courteous sale staff and even met Roy the owner. I would certainly recommend this down home dealer to everyone! I worked with Ben Rohlfing. He went above and beyond for me and ended up saving my company a lot of money. Thank you, Ben. Bought a 2018 CR-V EX at Roy Schmidt Honda on 2/8/2018. Got a good price on my trade in and a better price on my new CR-V. Salesman was Clint Antrim and he was very knowledgeable on all the electronics on my Sandy. Shout out to Doug Mette and to Ben Rohlfing who handled the financial segment of the purchase and made things as painless as possible! Really enjoyed talking with him. 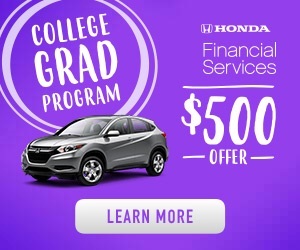 Thanks again to Roy Schmidt for matching the low offer I had from New Orleans East Honda. I'll be buying another Honda from them in the future if I'm treated by the service department like I was during the sale. That has yet to be seen. But I am hopeful. Very knowledgeable and kind staff also a good selection of new and used vehicles. Great, friendly sales and service staff. My wife and I have both purchased new cars from here. Stranded five hours from my house. They got my car working in a reasonable manner and had us on our way back safely.